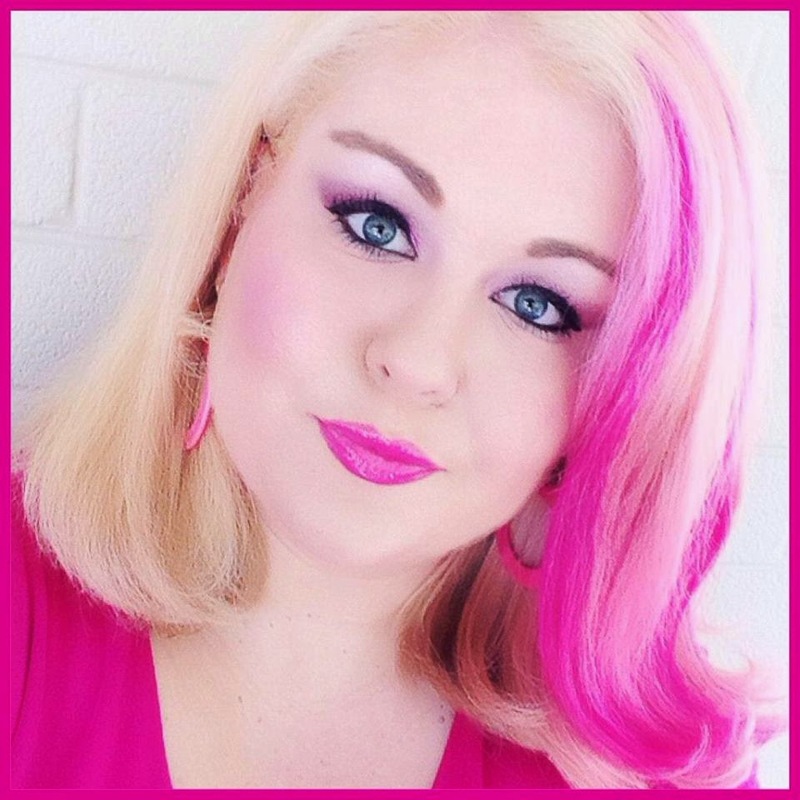 It's no secret that I love pink! ...And with the pastel coloured hair trend in full swing with celebrities like Jennifer Hawkins, Nicole Richie, and even Katy Perry adopting pink, blue, purple and even green hair, I decided to add some colour to my hair. You only live once, so why not! This isn't the first time I've had pink hair. You may remember back in 2011 I had hot pink streaks in my hair for a few months. This time I decided that I wanted a magenta purple and my hairdresser suggested we add some pink as well to create a subtle multicoloured look. My amazing hairdresser Alex from Capri Hair added a few pink and magenta highlights to my hair. 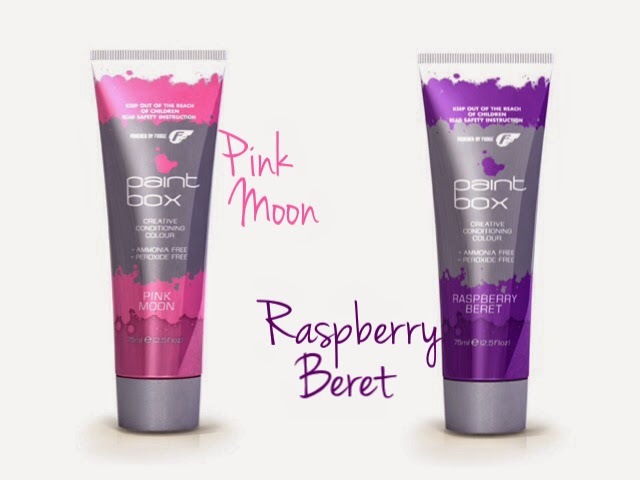 She used Fudge Paintbox colours in Pink Moon (light neon pink) and Raspberry Beret (magenta purple). 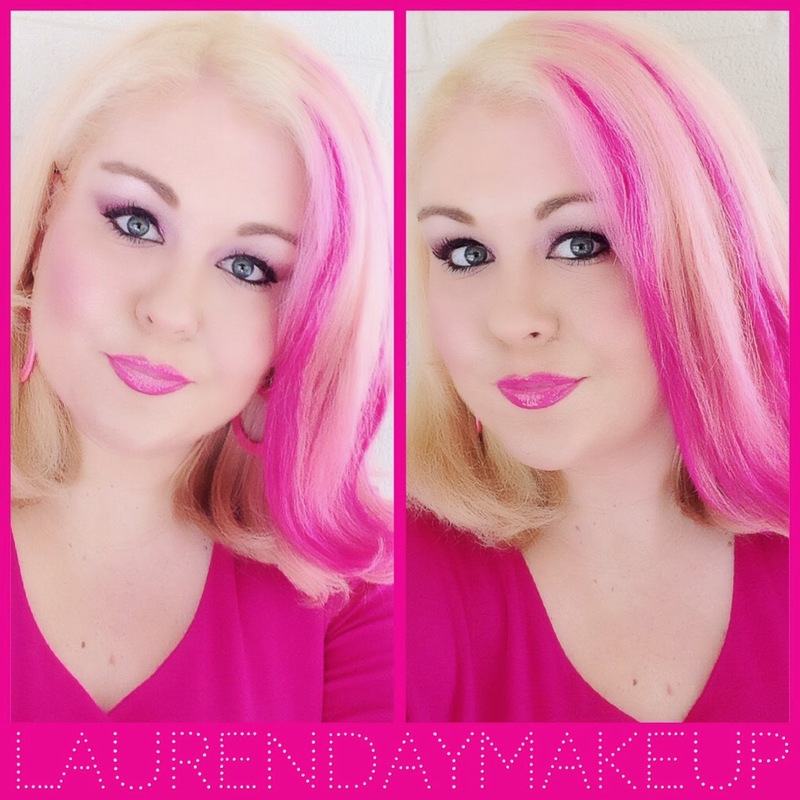 The result is a vibrant Raspberry Pink look, that I absolutely love! 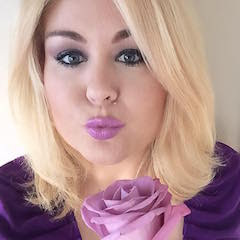 Please Note: On the Fudge website Raspberry Beret appears as a true purple, but trust me it's more like a magenta colour! For this look I am wearing my new favourite lipstick combo Calypso Cool featuring Napoleon Perdis lipstick and NYX lip gloss. *Benefit items are from a makeup set that I received as a gift. All other makeup I'm wearing are cruelty-free.